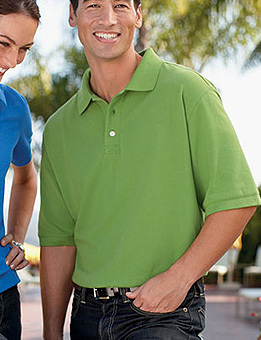 Cutter and Buck Ace Men's Polo Features a 1x1 rib knit collar with Spandex for shape retention. Three-button placket with pearl colored logo buttons, and side vents. Tonal C&B pennant embroidery on the left sleeve cuff.